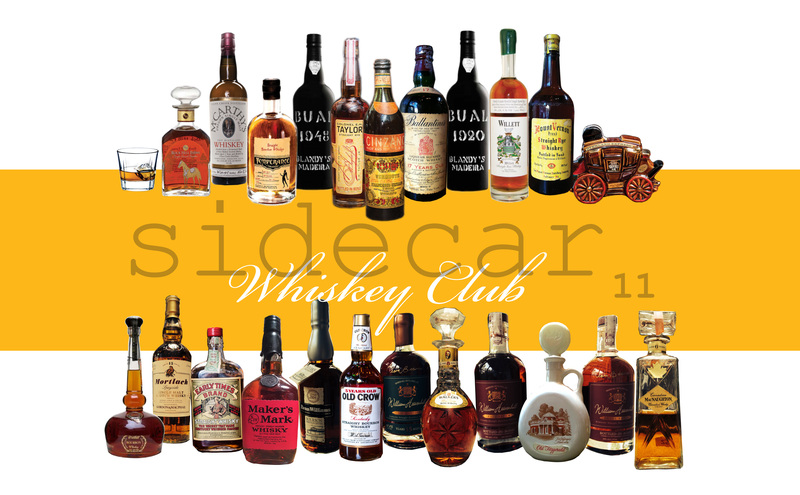 If you’re a whiskey enthusiast, we invite you to join the Sidecar 11 Whiskey Club. 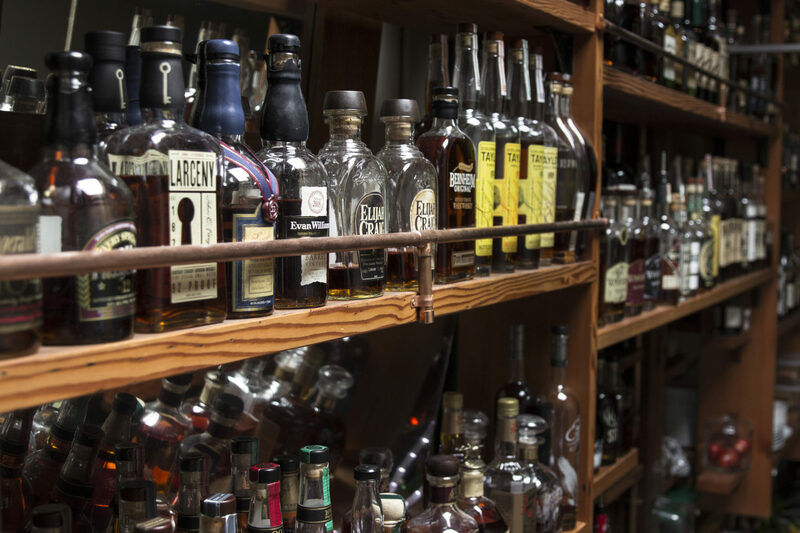 There’s no cost, but you’re eligible to join us Tuesdays for the opening of our special whiskey feature of the week: including new releases, hard to find bottles or allocated pours. Our goal is to bring this all to you at a reasonable price. 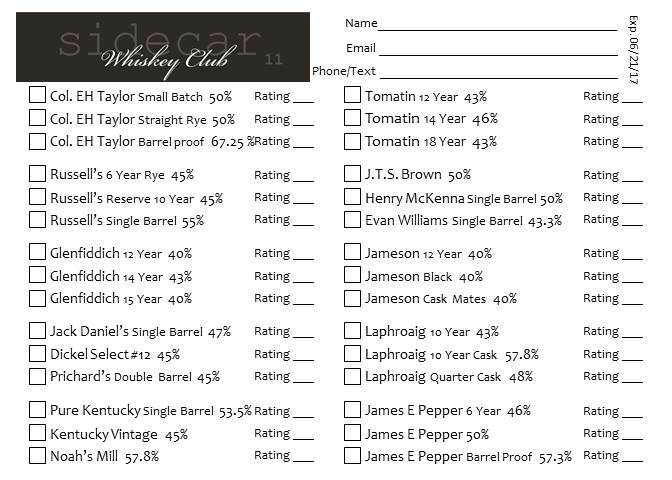 Start your own Sidecar 11 Whiskey Card to track your progress, and once your card is filled you will receive a 10% Sidecar 11 whiskey discount for life! Are you more than an enthusiast? Get priority seating at all vintage tastings, and discounted tasting fees at non-vintage events. There’s no penalty for missing tastings, but you’re invited to special Sidecar 11 Connoisseur only events! Contact us to find out more.